The index uses the Windows Search service and runs as the Searchindexer.exe process in the background. The index will automatically rebuild and update for changes made to the included locations since the last index rebuild to increase search result accuracy. By default, the search indexer backoff feature will reduce indexing speed while rebuilding the index when there is user activity, and will automatically continue at full speed when no user activity is detected. If you like, you can enable a policy to pause indexing when your PC is running on battery power to conserve energy, and automatically resume indexing when your PC is running on AC power next. This tutorial will show you how to enable or disable indexing when your PC is running on battery power for all users in Windows 7, Windows 8, and Windows 10. You must be signed in as an administrator to enable or disable indexing when on battery power. Battery life (and size) has really improved in the 10 years since getting my Dell Inspiron. However every bit of power savings helps even my new HP Spectre and this tut is a good one for both laptops. 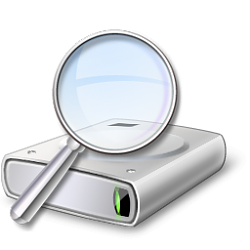 Hello, I am using Eldos CBFS drive on my machine and does not show on the indexing window. Any Idea why?